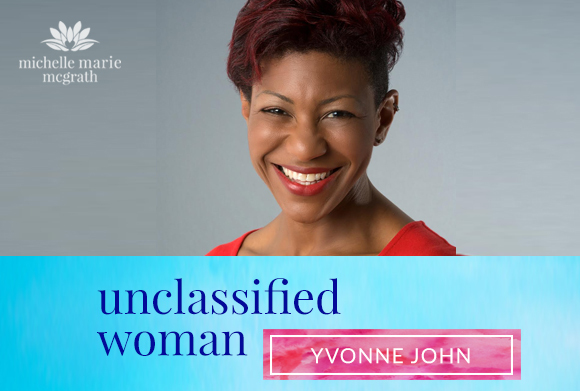 Welcome to the first episode of Season 3 of Unclassified Woman today with the inspiring Yvonne John. After taking a break to move back to the UK after 20 years living in Australia, I’m back with the podcast, sharing the stories and the healing experiences found in the lives of unclassified women. My guest today is Yvonne John, based in the UK and the author of Dreaming of a Life Unlived, the stories and portraits of women who are childless by circumstance. The book highlights women who are coming to terms with their grief and moving toward fulfilling lives without children. How are you supposed to deal with the intense grief that accompanies the disappointment and shock of an unexplained infertility diagnosis? What if you’ve finally found the one person with whom you REALLY WANT to have a child? Yvonne’s story covers these emotions and more as she shares the circumstances that have transpired to alter what she thought was her perfect life. Yvonne was never sure if she wanted children, but she knew there was the expectation that she would get married and have a family, in that order. Somewhere between her dreams of travelling and experiencing what life had to offer, she wished for the perfect family, which for her would be comprised of a husband and four children. By the time she reached her 30’s, this dream had lost its momentum, and when she reached her mid-30’s, she’d given up on this dream of being a wife and mother. Because of her past, Yvonne decided it was now time to live by her choices. She believed the opportunity to become a wife and mother had passed her by, so it was now time for her to move on to something new. However, it wasn’t until she met her husband at age 38 that her faith in love was reignited. Maybe she could have a family after all? Yvonne’s background: married for 8 years and tried to conceive for 3 years, and then an unexplained infertility diagnosis, with a the distressing conclusion: there’s no obvious reason why you can’t have children. She had been ambivalent about having children until she met and married her husband, finally realising that they wanted to share a child together. The emotional heartbreak when Yvonne realised her dream was NOT going to happen. She couldn’t be around children or those who were pregnant. She blamed herself, carried immense shame and guilt, and couldn’t make sense of it all. Since Yvonne had also experienced two abortions in her 20’s, she thought her infertility was a result of those choices she had made back then. How she felt the pressure from friends and family and the difficulty in explaining what was happening. Explaining her situation was hard because it opened the door to those emotions for others. It wasn’t just the difficulty of wanting to have a child, but wanting to have a child with the husband she had finally found later in life. How she found Gateway Women to be a helpful place to accept and normalise what she was feeling, even though she didn’t at first understand the emotions as GRIEF. How the grief in telling your own story gives others permission to share and opens doors to the healing process. How Yvonne wrote a letter to her younger self and gave permission to forgive herself. The common threads of the stories in her book: why she wanted each woman to have a voice and be heard in a deep and powerful way, giving a platform and courage and control over infertility. The commonalities of grief and sadness for all women who go through these experiences. The differences Yvonne noticed between hearing white women talk about grief and how women of colour discussed the topic. Yvonne’s greatest gifts that she’s now experienced to heal her grief: public speaking opportunities, self-expression, love, kindness, and acceptance from other women. Through what she found at Gateway Women, women can be with others in the same places of grief and find the light at the end of the tunnel. We also discuss abortion – another taboo topic – that needs to be discussed more openly. Find Yvonne John at her blog here. Buy Yvonne’s book on Amazon here. Find out about Gateway Women workshops here. I do hope you enjoyed this episode and would be so grateful if you could subscribe on Itunes and leave a review so that more women can find this podcast. I would love to hear in the comments below what you found most inspiring or helpful about this interview? Thank you.